With the advent of mobile technology, it is a challenge for designers and developers alike to come up with websites responsive to all screen sizes. In the last couple of years, they’ve managed to overcome this hitch for smartphones and tablets, allowing its users to browse through the internet conveniently. Recently, mobile technologies haven’t been just limited to smartphones and tablets, smartwatches and other wearables have prospered. Although wearables are still very much new to the market, it’s evident that wearable technology will flourish in the coming years with more powerful features set to be included in these devices. But, with the help of responsive web designing ideas, creating a website that is easily viewable on the small screen for smartwatches isn’t impossible. In this post, we’ll try and tell you more about the right solutions and common problems when creating a responsive mobile website design for wearable technologies. What the designers need to build is a receptive web design that can perform optimally on an even smaller scale to fit the 3-inch or lower display size of smartwatches. Thus, innovations in user interfaces and responsive design elements are necessary. Responsive design is a technique to make a website fit on all screens and devices. Creating this for wearables may be challenging, especially if you have to adapt it to a device without disabling major elements of its content and design. If it will then be applied to a smart gear, chances are, it will make a website flexible and can therefore, enhance the user’s web browsing experience. Responsive web design can be a bit overwhelming, especially if you have to build it for smart gears. Last year, the adoption of responsive design by enterprise websites and publications was a phenomenon. Based on a study featured by Slideshare, 88.5% of high traffic websites used this technique to cater for mobile and tablet users. As of this year, it remains the #1 trend and designers are now targeting smartwatches. The current trend is focused on forming an intelligent responsive website. 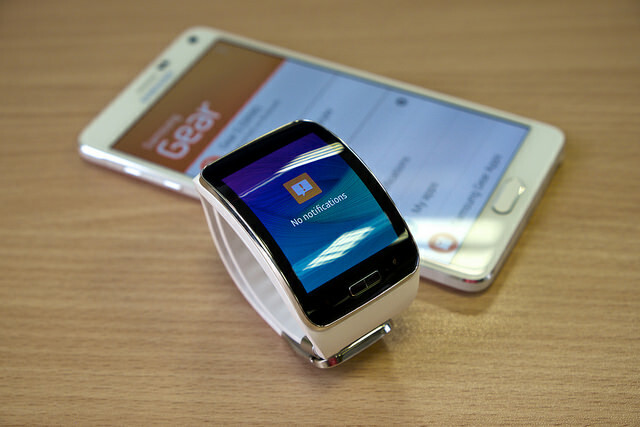 It would perfectly fit smartwatches that are expected to become a streamlined mode of accessing the Internet. There were websites that are responsive featuring contents that are readable and easily navigated on small screens. Yet, current generated mobile websites are characterized by clean, a content centric design, smart side bars, and intelligent content filtering, which eliminate unwanted content when viewed on small screens. To resolve this issue, it calls for a more flexible approach to content delivery, which involves responsive design with server-side components (RESS). This approach allows more customized layouts and a manageable amount of data delivered in a myriad of web-capable devices, from bigger screen of tablets to the smallest display of smartwatches. Since today’s wearables are dependent on its paired smartphone, you will have to double check the smartphone appearance of the website. Take note that Android Wear are best paired with the latest handsets, while Samsung runs the Tizen OS for its wearables that is best paired with their latest flagship – Galaxy S6 and S6 Edge, and the upcoming Apple Watch can be paired with the new iPhone 6 variants. While the adaptation of responsive design is a marvelous idea, it also introduces greater ambiguity and poses a dispute for designers. In order for it to work, it needs to be simplified even more by having less room for user input, navigation, and consumption. Of all the solutions, responsive design is the most positive and feasible approach. The enticing simplicity of this particular design could benefit users significantly by creating easily digestible and relevant content for web browsing. Device constraints could dramatically open up creative methods, similar to what the researchers at Carnegie Mellon created. They have expanded the interactive area of smartwatches by projecting responsive buttons onto users’ skin. Now, that’s just the beginning of some possible transformations we should expect in wearables. We should expect that the near future will further bring us new screens and devices which need their own web solutions.